Diamond Weight: 0.75 ct. tw. 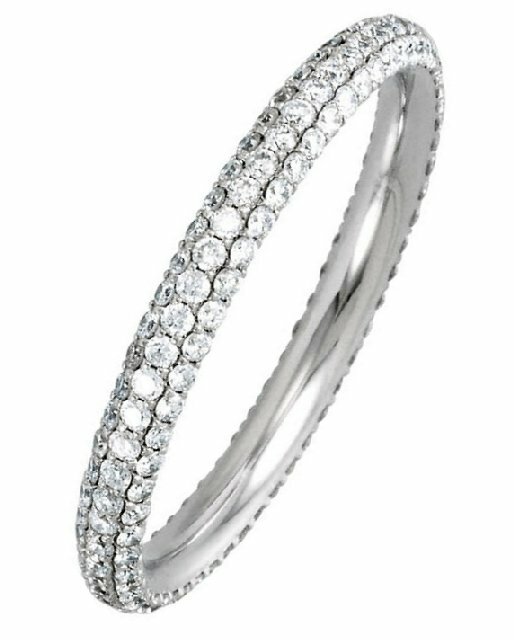 Palladium, diamond eternity ring. the ring holds approximately 153 diamond in size 6.0, with diamond total weight of 0.75ct. The diamonds are graded as SI in clarity, G-H in color. I just received the ring that was purchased for my soon-to-be husband. The shipping was completed very fast. The packaging was terrific with extra packing with a box and lovely and tasteful ring box. The quality of the ring including size was great including the inscription which was done expertly. We are very pleased with our purchase through WeddingBands.com. I could not be any more pleased. Best customer service I have ever experienced. Delivery on time item as on picture. Love Wedding Bands.com!